Superheroes. Witches. The apocalypse. Nasty hobbitses. Last year was a crazy one! I'm a little late in listing my favorites due to our inaugural Escape-athon. Without further ado, here are my top ten films of 2013. This was an engaging, interesting sci-fi flick that flew under a lot of radars last year. A great cast (Sharlto Copley, Michael Nyqvist, etc.) helps tell the story of what happens when a team of astronauts visits Jupiter’s moon, Europa. More than just a found-footage horror, the film's crew utilized NASA data and real footage from the International Space Station. Seth Rogen and the gang’s truly hysterical meta take on their own celebrity/parody of “end of the world” flicks was one of the year’s best comedies. Light on plot (Seth Rogen, Jay Baruchel, and other celebrities are stuck at James Franco's when the rapture begins), the film made up for it with lots of laughs. This was a fantastic horror film that straddled the line between old-school horror and the more recent, more joyless slaughterfests without going over the edge. A great cast and a fun story completed the package. Check out my full review here. I’ll say this for Iron Man 3 - it wasn’t afraid to take risks and try new things. Was it (potentially) a good send-off for Marvel’s flagship series? Perhaps not. But hey, look at all the Iron Man suits! The sequel to 2011’s Thor sees the Thunder God working with an old enemy in order to conquer a new one. The flick started out a little touch and go but by the end credits, I was very satisfied. It had heart, it had action, it even had a great cameo by another member of The Avengers. 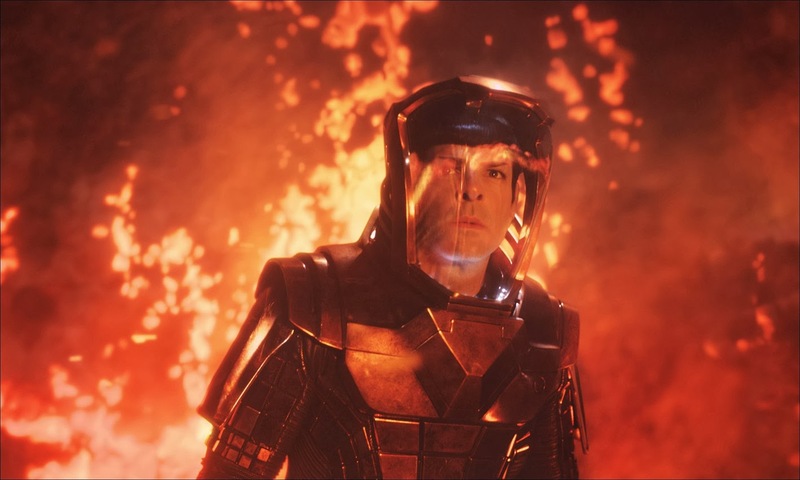 I personally enjoyed this film but I recognize its faults, chiefly, that it’s really just a remake of The Wrath of Khan when you get down to it. I enjoyed the film's sense of adventure, special effects, and all the actors involved so it’s a good flick in my book. I’m hoping for a little more character development in the next film. And more lens flares! I loved Insidious. I love any haunted house flick, really. So when I learned that Insidious-helmer James Wan was directing another “family-is-terrorized-by-ghosts” movie, I was very intrigued. And it was set in the '70s - a period horror flick! Read my full review of the film here. I think everybody knew this was going to be amazing, right? The ever charming George Clooney, a career-defining performance from Sandra Bullock, an intense, original story, and top-notch special effects. Just an amazing film. In a somewhat crowded year for good horror, the Evil Dead reboot stood out. Director Fede Alvarez had big shoes to fill but he came through, delivering an original film worthy of its predecessors. Slick and gory, the film nailed the requisite atmosphere. Here’s hoping we get a sequel soon. Full review here. A fantasy film in every sense of the word, The Hobbit: The Desolation of Smaug is also my top “escapist” film of 2013. A definite improvement over its predecessor, the film boasts stellar work from its cast and a great story. Check out my full review here. It should come as no surprise that Edgar Wright’s tale about drinking, friendship, and aliens is my favorite film of the year. Wright has a way of balancing the human and fantastic elements of his films like few others working today. The World's End could have been about an addict's struggle with faded friendship and lost glory and simply left it at that. But then the heads started to roll. To put it bluntly: I’ve seen this movie four times now, and it gets better with each viewing. Nice selection! Great to see The World's End so high. That will definitely be in my top 10, along with probably Evil Dead and Gravity. Still trying to trawl through a few more from 2013 before I take the plunge and make my own list. Thanks for reading, Pete! Looking forward to reading your list. Seems like you have some good ones on there already. Our lists are quite different, I'm happy to see Gravity get some love! Europa Report flew under my radar. Your no 1 and no 2, in both cases I prefer the first installment in the trilogy. "You're Next" I may give that a watch in October for Halloween. 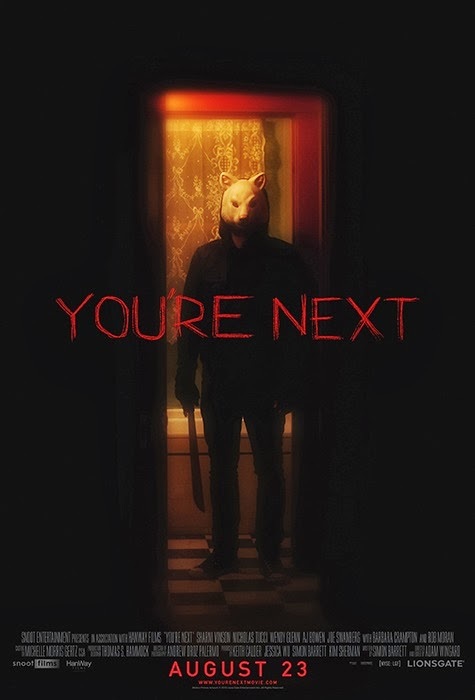 Chris - Definitely check out You're Next. I prefer Hot Fuzz over Shaun of the Dead and The World's End but they're all really solid films. I'm hoping the last Hobbit film is the best of the bunch. Thanks for reading!